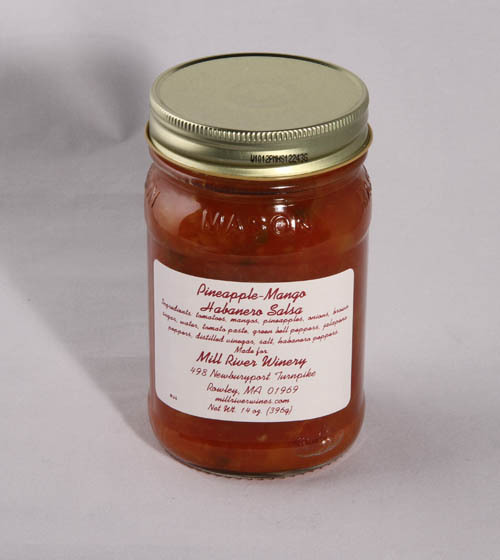 Once you start eating our Pineapple-Mango Habanero Salsa it's going to be hard to stop! Our salsa is made with tomatoes, mangos, pineapples, onions, green bell peppers, jalapeño peppers and habanero peppers. In summer 2012 we will introduce our wine club. Club members will be the first to taste our wines! Join us in our tasting room, open 11am - 6pm Wednesday - Sunday, to taste our Old World wines with a modern flair! Conveniently located on Route 1 in Rowley, MA we are 45 minutes north of Boston and 10 minutes from Newburyport.